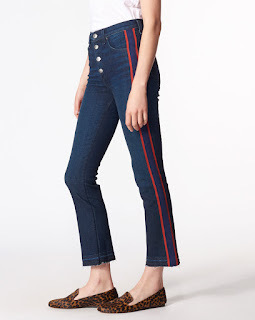 Here we go...I'm not obsessed with much this season, but one thing I am obsessed with is the side striped jean! What do you think of the tuxedo stripe trend?? Hi Guys! I know I know I've been MIA lately, my sister even asked me if I was still blogging, I'm still here but I've been enjoying every minute of this fleeting summer. And while fall is creeping closer, I have yet to really see anything that I have to have, and that's why I started this blog to share things that I love, anything else just feels forced.